Early this morning we will round the southern tip of Norway and alter our course to the west north west and commence crossing the North Sea. We will remain on this course for most of the day and later this evening we will pass between the islands of Fair Isle on our port side and the Shetland Islands on our starboard side. Once clear of the islands we will set north westerly courses towards the Faroe Islands. 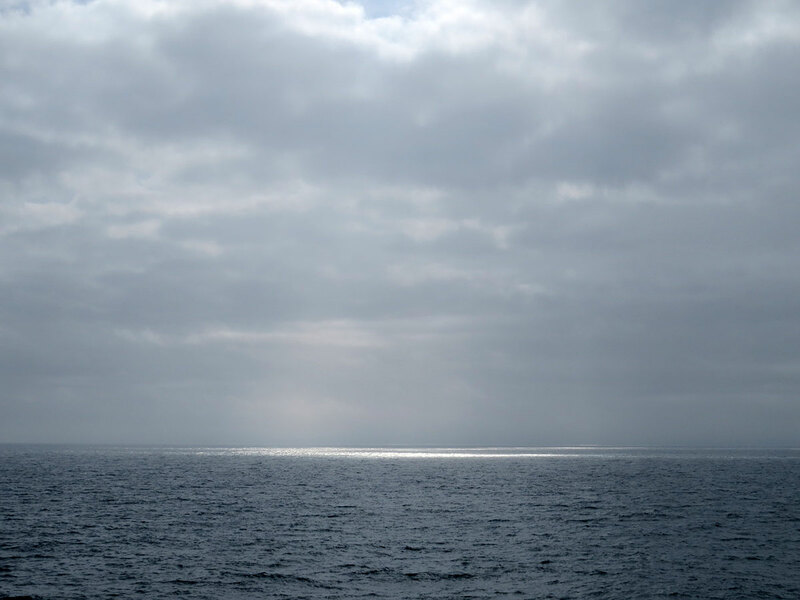 We crossed into the Norwegian sea today, passed west of the Prime Meridian and north of the 60th parallel. The colors become more muted just as the day stretches to almost 21 hours. What little sun penetrates the dense cloud cover makes the sharp wave crests stand out through the ever-present fog. The Arctic Ocean may one day become an important trade route as vessels of all types begin regular transit through the Northwest Passage. 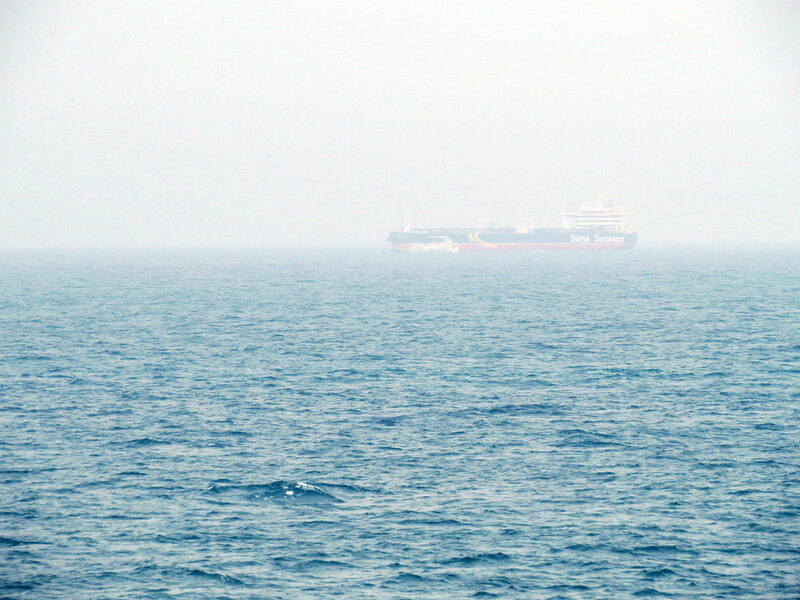 Even at a three mile CPA, another vessel met in the fog is cause for interest, if not concern.